Remember Cygnus, the galaxy active enough to clearly send signals from an engulfment event on the part of its central black hole to Earth recently? Well, it is back on the scientific stage this week, as researchers publish their findings on yet another highly unique body found in Cygnus. This newly-discovered one is a planet with a singular type of atmosphere. It is apparently rich in helium, which has reportedly behaved somewhat as a balloon would on Earth when filled with this gas. Cygnus is an active, or radiologically ‘loud’ galaxy, which makes it easy for astronomers and astrophysicists to gather data and interpret the cosmic body for its astonishing features. For example, scientists have reported finding an exoplanet several times the size of Jupiter that emits heat to surpass most stars, in the galaxy. 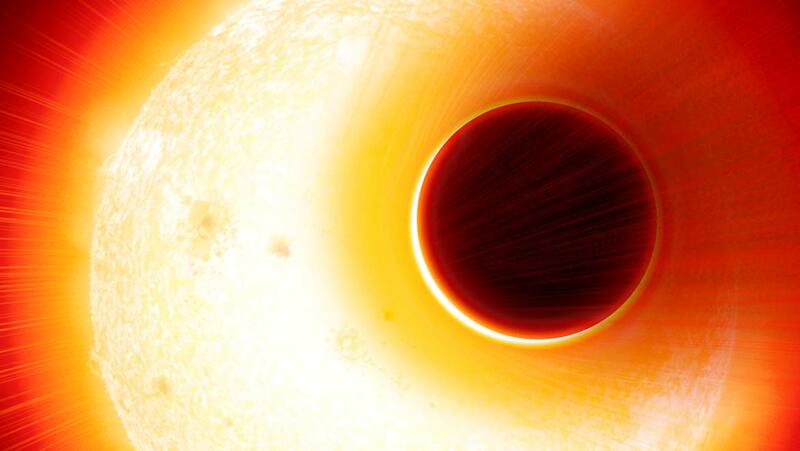 V404 Cygni, the galaxy’s resident black hole, is also well known to science. A recent study in which this planet's ‘matter-eating’ behavior was tracked in detail may have revolutionized our understanding of how these dark bodies act and function. Cygnus’ latest ‘show’ is the discovery of an exoplanet with a highly unusual atmosphere. It is particularly rich in helium, especially compared to the Earth where the gas is relatively rare. However, because helium is such a light element, the new planet’s supply was seen escaping easily upwards from its lower atmosphere. This gives the exoplanet, currently designated HAT-P-11b, the appearance of a steadily-inflating balloon. However, this is not all. It also appears that the helium is ‘swept’ around the planet regularly through forces associated with its sun, which is 20 times nearer HAT-P-11b than the sun is to the Earth. The Cygnus star, estimated to be an orange dwarf, is smaller but more energetic than our central star and deflects the helium from the side of HAT-P-11b facing it to the opposite side of the planet. Therefore, the ‘balloon’ seems to be at constant risk of being blown away. The scientists who discovered this phenomenon collaborated on a project to assess Cygnus across a number of institutions, including the University of Exeter and the University of Geneva (UNIGE). It required a revolutionary new telescope called Carmenes, located in Spain’s Calar Alto observatory. 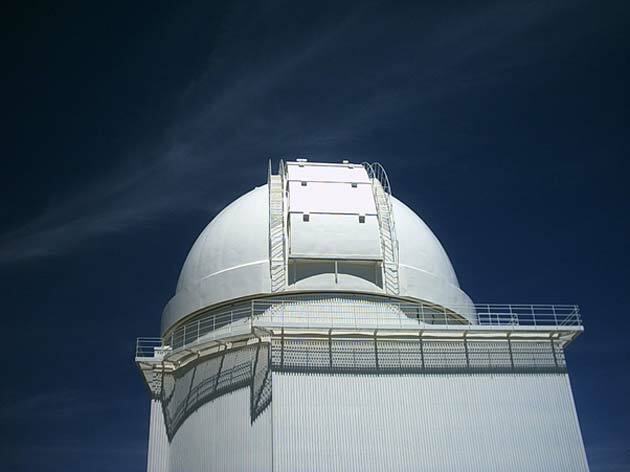 This was because Carmenes contains a radio spectrograph that can distinguish between over 100,000 individual wavelengths on the infrared (IR) spectrum. This super-precise IR resolution allowed for the accurate detection of planets with a helium-dense atmosphere. The use of Carmenes also resulted in the ability to tell how the helium atoms moved around HAT-P-11b, a planet about four times the size of the Earth. This gives it something in common with Neptune in our own solar system. However, unlike this eighth planet, HAT-P-11b is considered a ‘warm’ exoplanet, with a recorded temperature of 550°C. The international team’s findings on HAT-P-11b were corroborated by computational modeling of the data from Carmenes, done by one of the project members, Vincent Bourrier. Bourrier is also the co-author on the paper written on these findings, to be available in the December 2018 issue of the journal, Science. His work indicated that the helium drifts away from the exoplanet in an expanding cloud, which is then blown around and possibly backward away from HAT-P-11b by the orange dwarf star at speeds of approximately 6,200 miles per hour. Currently, it is not completely clear how the planet managed to accumulate all of the helium necessary to form its ‘balloon.’ However, we do know that helium is relatively abundant around galaxies and planets, particularly as they are forming. Therefore, HAT-P-11b may have somehow captured the gas early on in its history. This interesting new piece of research keeps the Cygnus galaxy firmly on the map of astrophysical and astronomical research. In addition, it has helped confirm that ground-based instruments such as Carmenes can indeed detect planets such as HAT-P-11b, a feat that was once thought only to be possible if similar equipment was launched into space. These studies also demonstrate the worth of such projects like ‘FOUR ACES’ (Future of Upper Atmospheric Characterisation of Exoplanets with Spectroscopy), a European Research Council-funded effort which helped inform this study. In addition, the research may further validate the planned installation of two new Carmenes-like spectrographs, one in Chile and one in Hawaii. These new telescopes should help us see more incredible sights like the ‘balloon’ planet in the depths of space. Could Plastic-Eating Worms Help Solve Our Waste Problem?